Beside its epic contents, the game is also smart. And I like that there are many ways to play it. You can shuffle up all the cards and take 30 random ones and play those as your deck. You can do a drafting session with the other player(s) with thirty random cards per player or you can just play one of the four factions. It just doesn’t matter, the game works fine either way! Our preference slightly leans toward drafting our own decks, but when time is limited – thirty random cards work fine as well. 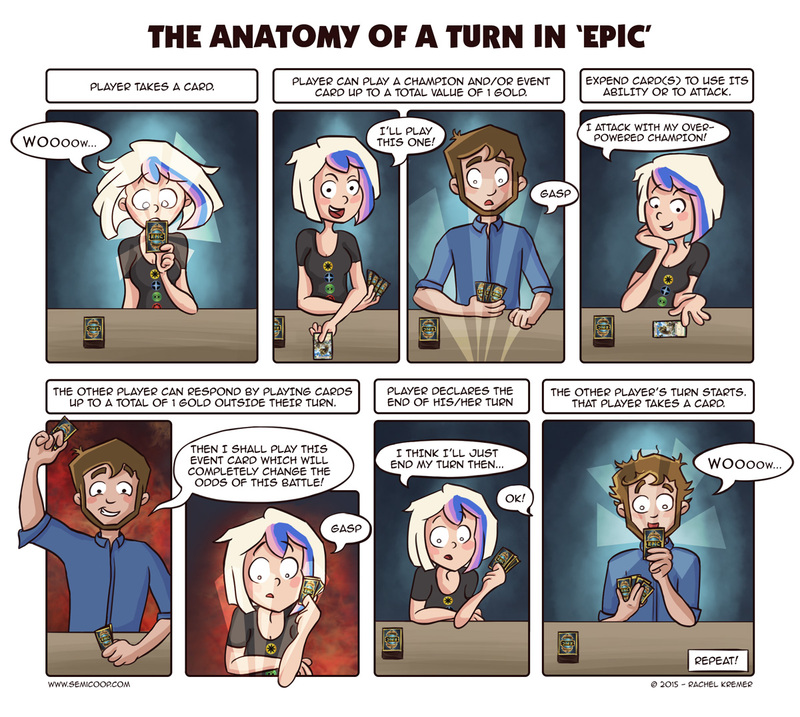 We’ve played Epic with a third player once now and that totally changes the game, it takes a lot longer and the game requires a lot more brainpower than with two players. And this is not a bad thing, I was suprised by the difference. It’s just yet another side of Epic that seems to work very well. 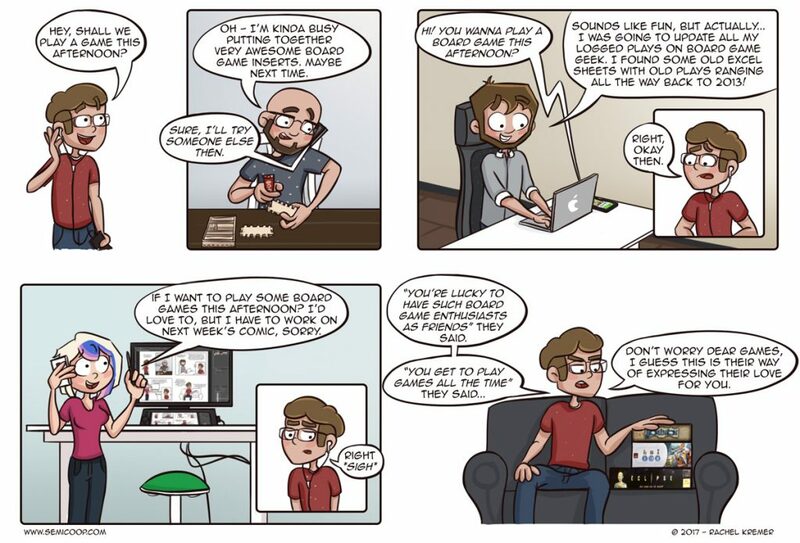 What’s your favorite drafting game? In anyway you make your deck (from Demi-god vangard to CubeDraft and full random), it’s always epic. Our gaming group is definitely looking forward to this game. 4-6 weeks of shipping – we’re up to the 4 week mark and hoping every day we check the mailbox that it will be in there. The print-and-play rules have sustained us so far, but we need it soon! I liked playing Magic in Draft format, especially Mini-Master (you play with a single pack you just bought).